Are you ready for some new Pure Innocence? Well, have we ever got it for you today. 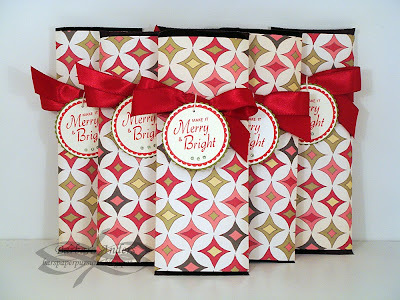 MFT is releasing four new images on Wednesday, December 2 and they're stinkin' cute! 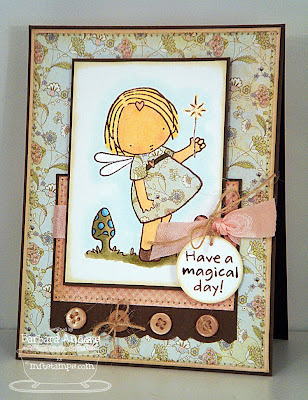 Today I'm showing you Fairy Girl--what a doll she is! 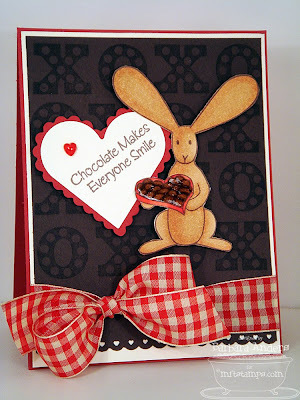 I stamped her on a Perfect Paper Panel with Memento Rich Cocoa ink and colored her with Copic markers. After I colored her, I added some gold Shimmerz to her magic wand and some Angel Wings Shimmerz to her wings. Her dress is paper pieced and the sentiment was punched out with a 1" circle punch. All edges were swiped with a Chamomile Vintage Touch ink pad and I stitched around the two base elements. I'm using Mercy's Tuesday Sketch #49 for my layout. 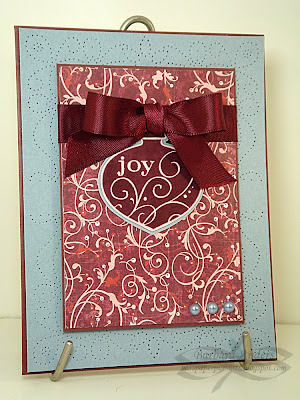 MFT DT members (both full-time and guests for December) will be showing you more ways to use this set, so head on over to Kim's blog to see the line up--she'll have the list up at 11:00am EST. Be sure to check them out--these new PIs are just the cutest! Check out the DT members (both full-time and guests for December) who will be showing you more ways to use this set. Head on over to Kim's blog to see the line up--she'll have the list up at 11:00am EST. Today I'm showing you a little sneak peek of one of the sets in My Favorite Things next release, coming up on Wednesday, December 2. The set's name is Love At First Sight. 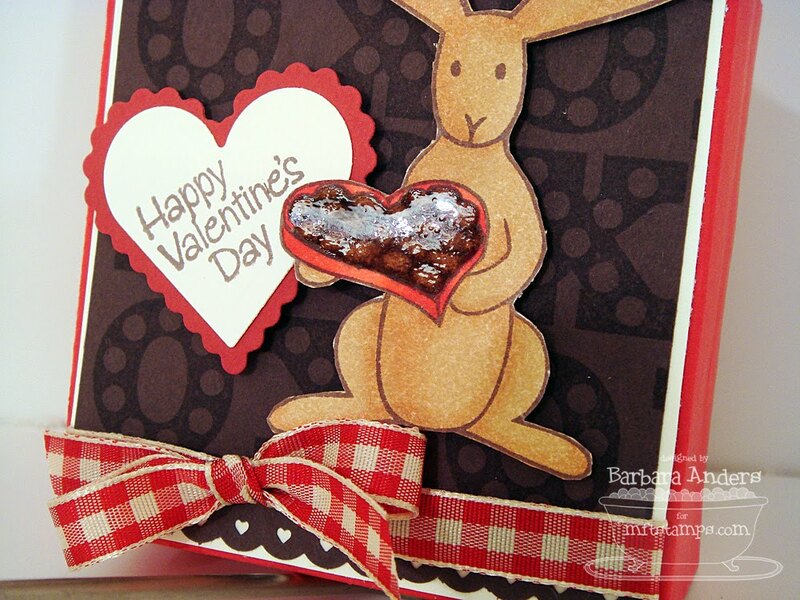 This card started out as a simple card but took on a life of it's own, LOL! I found this template and thought it would be cute to have the heart popping out of the card--just simple like, KWIM? Then I started and it seems simple was not meant to be. 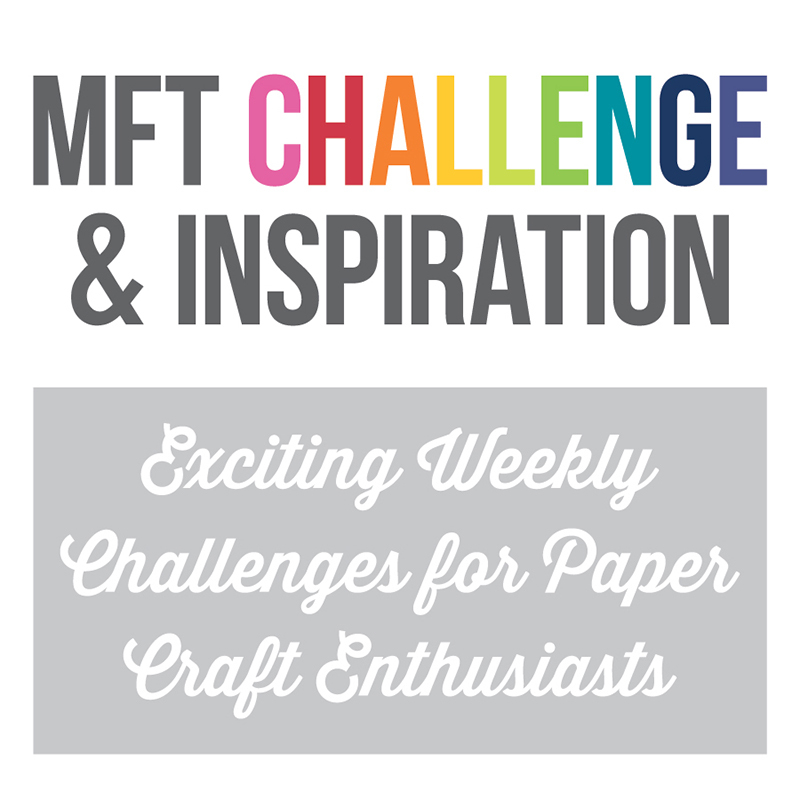 This month, Kathy Daume' and I are hosting the Guest Designer Challenge over at the MFT Company Forum on SCS and this is also my sample for that. We're challenging you to use Kraft paper on your card or project, so be sure to check it out and get your card/project in to try out for our January Guest Designer spot. AND, today is my anniversary, so this card is perfect to give my sweet husband, don't you think!? A triple hitter--win-win-win, right? Here's the front of the card. You'll see why it had to be tied together in the next pictures--I'm using Kraft as my base card with Chocolate Chip and Pale Plum in addition to my patterned paper. The image was stamped on a Perfect Paper Panel with Memento Rich Cocoa ink and colored with Copic markers before being cut out. The Plum layer of the large heart was run though my Cuttlebug with my Love Language embossing folder before being cut out. 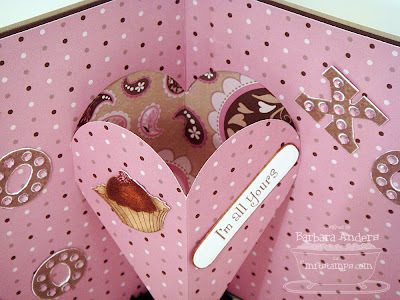 I could have just let the Kraft show under the heart, but before I put on the inner layer, I attached a piece of the card front pattern under the cut out area for a little more contrast. 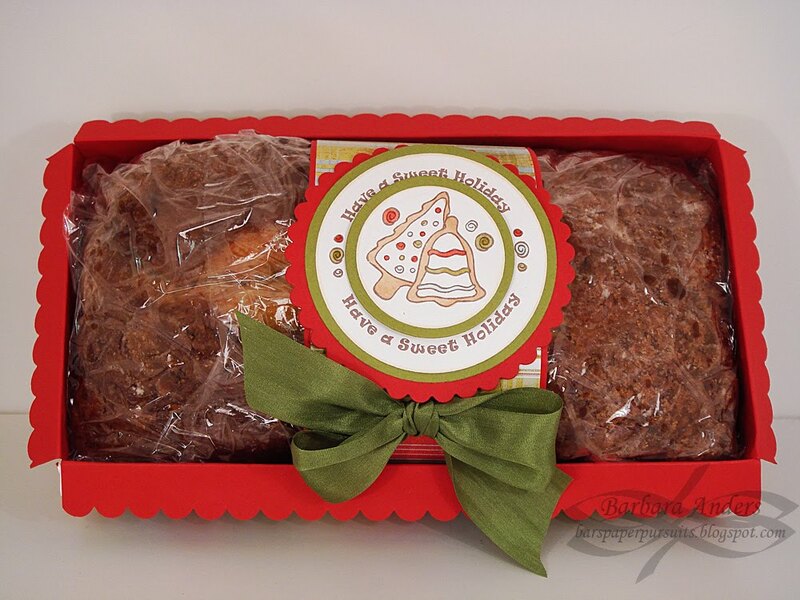 I love how it turned out, but with all those layers it got a bit thick--thus the ribbon to tie it closed. 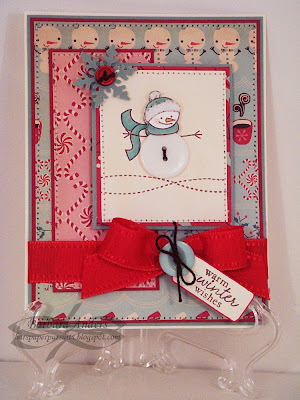 MFT DT members (both full-time and guests for December) will be showing you more ways to use this set, so head on over to Kim's blog to see the line up--she'll have the list up at 11:00am EST. They're sure to WOW you--I can't wait to see them all! Mornin', peeps! It's Saturday so that means it's time for another Crazy 4 Challenges challenge. This week Frances has challenged us to get punchy! She wants us to use punches on our card or projects today. This month is sponsored by Kraftin' Kimmie and I'm using an image called Small Talk today. I colored the image with Copic markers and cut/embossed it with a Labels Four Nestabilities die. I'm using a Martha Stewart border punch and a bird punch for my punches. Otherwise, I think it's pretty simple--a little ribbon, a few buttons and that's that! THEN, you know what to do--we'd love to have you come along and play with us. 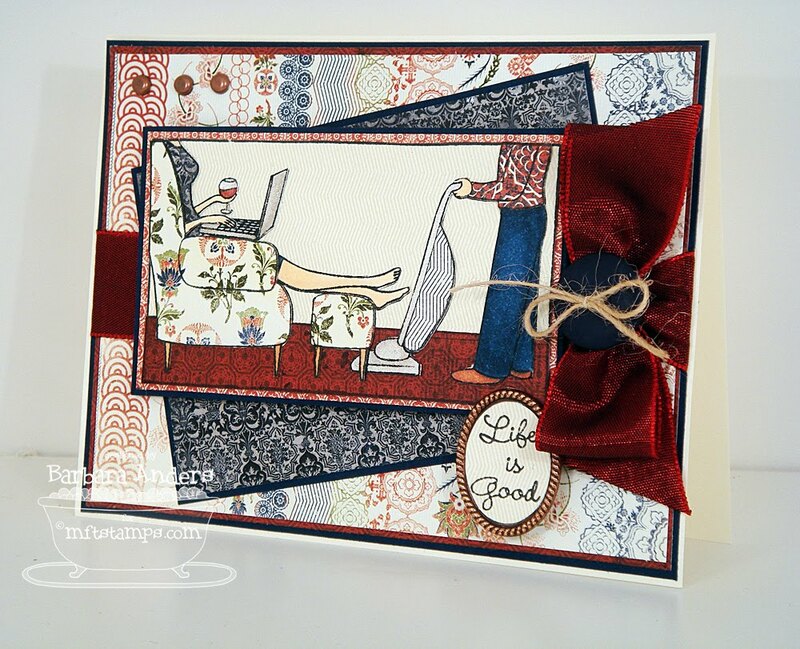 Just do your thing with the sketch and link it to Mr. Linky on the Crazy 4 Challenges blog. Please link directly to your project, and not your blog. And, if you upload to a public gallery, please use the key word C4C13. Thanks for stopping by today!! A little later on I'll be sharing a sneak peek of My Favorite Things December release, so be sure and come back! Friday, Nov. 27 - ssnotime115 - Mass Production -- We've done something similar before, but at this time of year when many of us mass produce Christmas cards (that should be mailed out real soon! ), I thought it was appropriate to do this again. Create a card that is SUPER easy to mass produce -- like once designed you could realistically sit down and do 6 or 8 or more within an hours time. 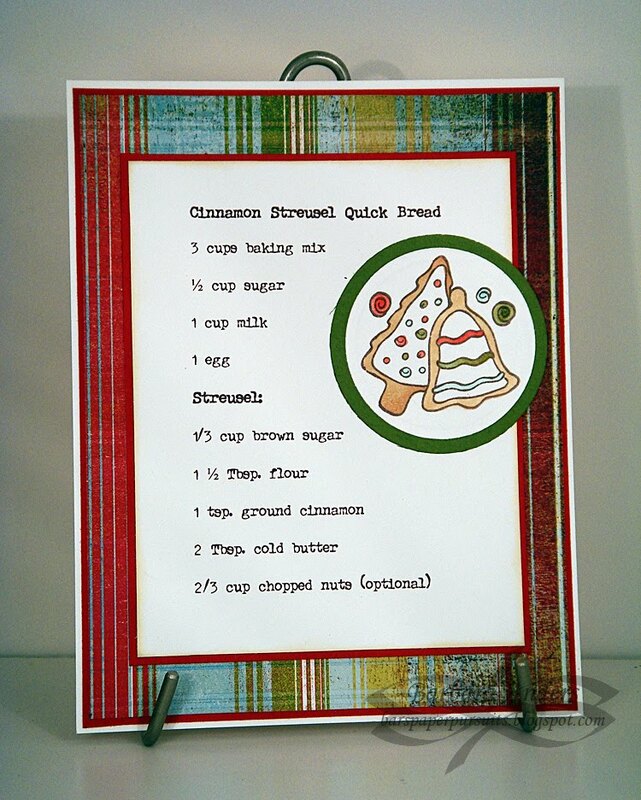 Super simple, easy to reproduce cards for Christmas or any occasion that suits your fancy -- that is our today's challenge! Have fun and can't wait to see!!! I've pretty much got all the cards I need done, so I decided to take advantage of this and get some treats done up for little Christmas gifts for my co-workers. And it was FAST! Once I decided on what paper and image I was going to use, it probably took me about an hour to get all six of these candy bars dressed up. First, I cut all the paper pieces 6" x 6". Then I put red line tape on all of them before moving on to the next step, which was cutting ribbon. I stamped all the images at the same time, using a stamp from Just Rite's Merry Little Christmas Borders & Centers set (this one was really quick because I didn't need to do any coloring), cut them all out at the same time them went back and embossed all of them. That saved some time just not switching back and forth on my Cuttlebug. Same with the green mats. Then I wrapped the paper around all of them, tied all the ribbons on, and attached all the tags with their little rhinestone accents. Voila! They were done! I need to do about 10 more and I'll be really done. I can probably get all of them done in an hour now that I've got my system down. So, now it's your turn. Come along and play and take us up on the challenge--we'd love to see what you come up with. 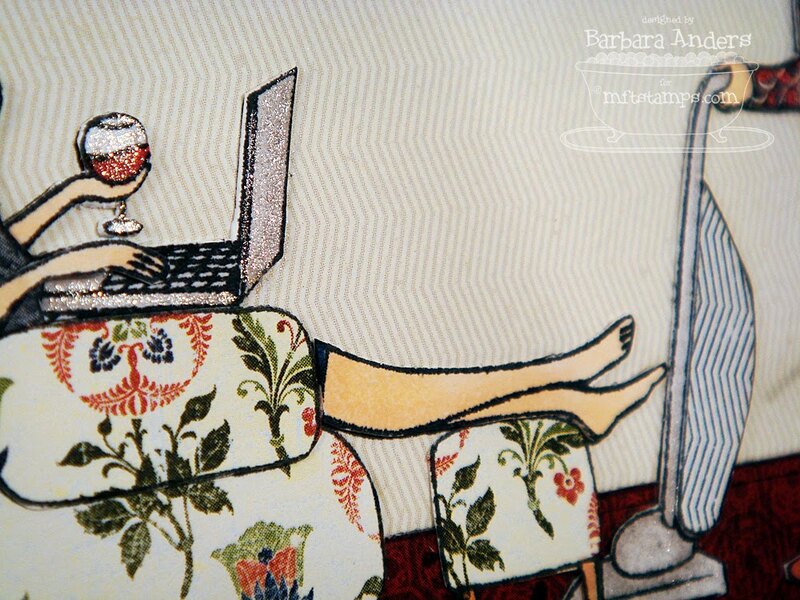 If you do, be sure to leave a comment on Sharon's blog telling her where you uploaded. Please use the keyword ssnotime115 if you upload to a public forum. Check out Sharon's fabulous sample and also the great designs from the Stamp Simply team! This is Bethany's last week with us and we hate to see her go! It's been a treat, Bethany--please come back often! Thanks for stopping by today! You know I love it when you do! First of all, I want to wish all my US friends a very Happy Thanksgiving and if you're traveling, safe journey !!!! Now, on to the purpose of this post. My DH and I have been going to TSO (Trans Siberian Orchestra) concerts for about 7 years now and it's become a holiday tradition. Last night was the night. If you've never seen them, you've missed a treat. The first half is a Christmas rock opera, I guess you'd call it, but there's a very powerful message, delivered in a heavy metal style. The message is about peace and love. Now, normally, I'm not a heavy metal kinda girl, but I LOVE, LOVE, LOVE this concert and look forward to it with great anticipation every year. Here's a video that's their 2009 tour promotion, with some clips from a performance. You can find out more about TSO, see more videos and hear more music at their web site: Trans Siberian Orchestra. If you get a chance, go see them! You will not be disappointed. The audience ranges in age from little kids to great- grandparents--the message and music truly appeals to all age groups. Thanks for dropping by! 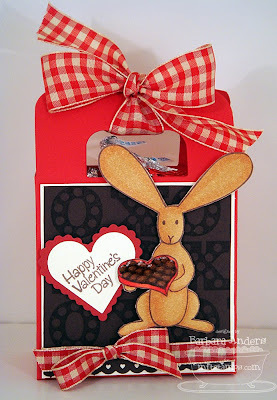 I'll be back tomorrow with a Stamp Simply challenge card! I really love how this card turned out--all inspired by that ribbon. 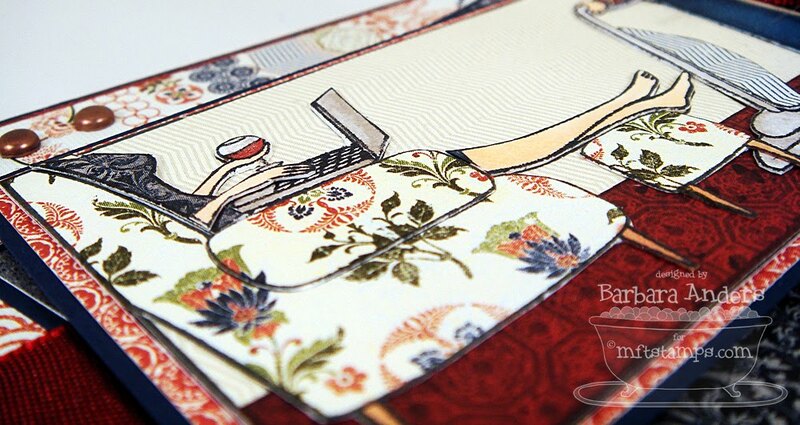 My base card is gold metallic card stock with layers of Bravo Burgundy and Old Olive. The top partial layer is Dusty Durango which I ran through my Cuttlebug with the Leafy Branch folder. Then I added a strip on which I stamped the border from PTI's First Fruits in Versamark and heat embossed with gold Ranger Fine Detail embossing powder. I trimmed around the design, then "piped" the strip with Bravo Burgundy. See that button on the bow? It's carved coconut shell and was a light tan when I bought it. I thought it "needed" to be burgundy, so I colored it with a Copic marker. Worked like a charm! The sentiment was heat embossed with gold, as was the cap of the acorn, which was then popped up on a full acorn image, also from First Fruits. The full acorn was also popped up and finally, I added some gold flat backed pearls for balance. Remember, you do not have to have the exact colors to play. If you don't, just use the closest you have. So, c'mon over to the Color Throwdown blog and play along with us this week. Please use Mr. Linky to post your card and please link directly to your card so we can find it easily. And please include a link in your post to the Color Throwdown. If you upload your card to a public forum, please use the keyword CTD70 so we can see your beauty all in one place. Hope to see you there! Thanks for dropping by today--you know I love it when you do! Want a quick little gift that will warm the heart of any gardener? Yesterday I was out shopping and spied a display of amaryllis kits. I know you've seen them--the bulb, a pot, and growing medium all in a box? It gave me a fantastic idea for a gift for my next door neighbor. She LOVES them, so I grabbed one up and headed home to decorate a gift bag for it with this sweet My Favorite Things set, Cultivate a Heart Of Joy. (Shhhh, don't tell anyone I told you, but this set may find it's way to the Bubble Bin by Monday, so be on the lookout.) I stamped the image on a Perfect Paper Panel, colored it with Copic markers and paper pieced the handle before cutting it out. 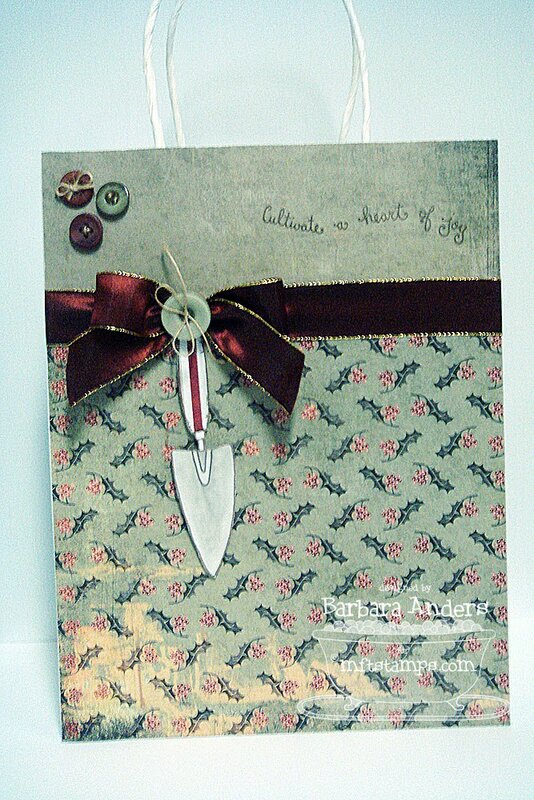 I covered the bag front with paper from Basic Grey's Figgy collection and decided to paper piece the trowel handle with more from the collection, but used the smaller scale from the 6 x 6 pad for that. I curved the sentiment image a bit on the block before I stamped it. This sentiment is very appropriate for this time of the year and is perfect for a gift for a gardener. Thanks for stopping by today! Tomorrow's another Color Throwdown Challenge and *I* picked the colors. Be sure to come back to see what they are! Happy Monday, peeps! This card is for Mercy's Tuesday Sketch Challenge #48--just under the wire, again ;-) I think it's mostly pretty self explanatory, but I'll explain a couple of things. 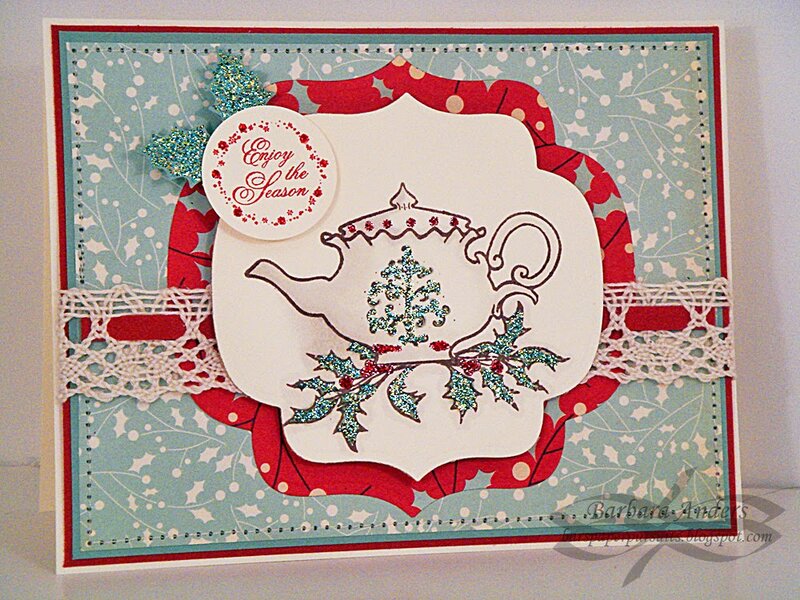 The teapot and the holly are from a new Flourishes' set called, appropriately, Christmas Tea, stamped on a Cream Perfect Paper Panel with Memento Rich Cocoa ink and colored with Copic markers. I didn't have any ribbon the right shade of red, so I ended up threading a strip of card stock through the lace and it really worked well. Then, there's Stickles accenting the pot, the holly, the sentiment, and the holly leaves. I have a little book called The Teas Of Christmas and this image reminds me of it. Cute! I'm a sucker for soft pastels for Christmas. I love 'em. So when I saw this card by Debbie Olson, I had to CASE it. 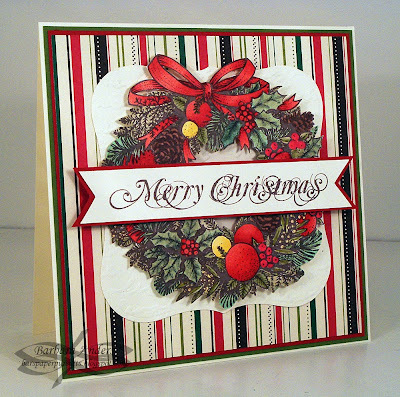 First, I HAD to have that stamp, so I ordered Very Vintage Christmas from Claire at Waltzingmouse, who is just fabulous to deal with. Shipping was much faster than I'd imagined it would be from Ireland. I'm using SCS SC255 for my layout. For the main image, I pretty much did exactly as Debbie did, right down to the pearls. Hey, why mess with perfection? Paper is Webster's Pages and card stock is Mellow Moss and Groovy Guava. That gorgeous silk ribbon is from Sharon Johnson's store and I tied the bow with my Bow Easy, also available there. I'm so glad you stopped by today--I love it when you do! Happy Saturday!!! I CANNOT believe it's almost Thanksgiving here in the US. After Thanksgiving it seems like Christmas is only a couple of days away! And I still have a TON of stuff to do before my Christmas Open House! Yikes! If I'm MIA any day, that's probably why, LOL! THEN, you know what to do--we'd love to have you come along and play with us. 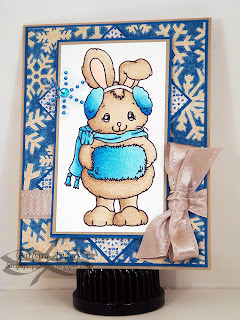 Just do your thing with the sketch and link it to Mr. Linky on the Crazy 4 Challenges blog. Please link directly to your project, and not your blog. 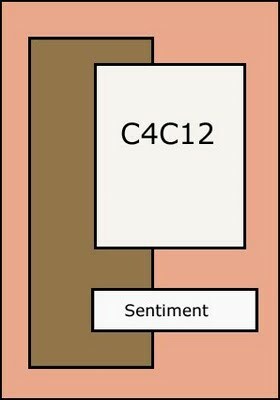 And, if you upload to a public gallery, please use the key word C4C12. Friday, Nov. 20 - ssnotime114 - All Wrapped Up -- Since Christmas is just around the corner and many use the Thanksgiving weekend to get a head start on wrapping their gifts, today let's share gift wrapping ideas. You may wrap ANYTHING for ANY OCCASION in any way, any form or fashion -- just show us some of your wrapping ideas. Examples: Wrap a card in a handmade envelope, wrap a gift of food in a handmade box or decorated bag, wrap a box with beautiful ribbon and tag, make wrappers for tiny food treats (bars, gum, candies, cookies). 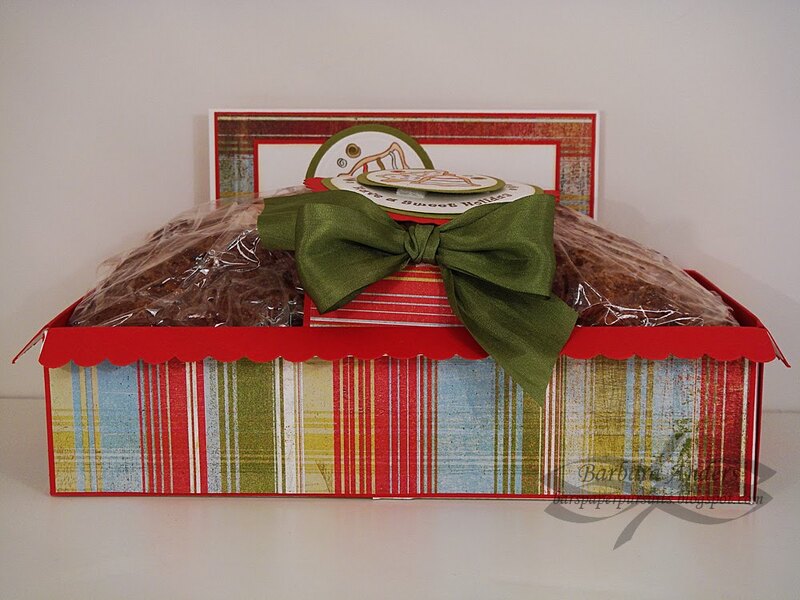 The sky is the limit on this one -- just wrap something so it's ready to give as a gift. Fun!!! So, since I'm planning on baking some quick breads for some gifts this year, and I'd been sorta thinking about packaging for them, I decided to go ahead and get my ideas down on paper. This Cinnamon Streusel Bread looked good so I made up a trial loaf for this project. Disclaimer: this is NOT a tried and true recipe, but it sure smells good :) It's going in the freezer until Thanksgiving. I'm trying to lose a few pounds before the holiday festivities begin and I *know* it won't be around long once we cut into it, LOL! I used Just Rite's Something Sweet set (and the 2 3/8" round stamp block), stamped on Pure Luxury 80lb paper by Gina K and colored with Copic markers. The template idea came from here. The sizes for this mini loaf were too small for my loaf, so I studied the instructions and sized it up for my loaf. The ones that I plan to make for gifts will not be this large--they will be in between mini and full size, so I'll have to make another template, but now that I know how to do it, resizing will be a piece of cake ;-) That gorgeous silk ribbon is from Sharon's store and I tied the bow with my Bow Easy, also available there. 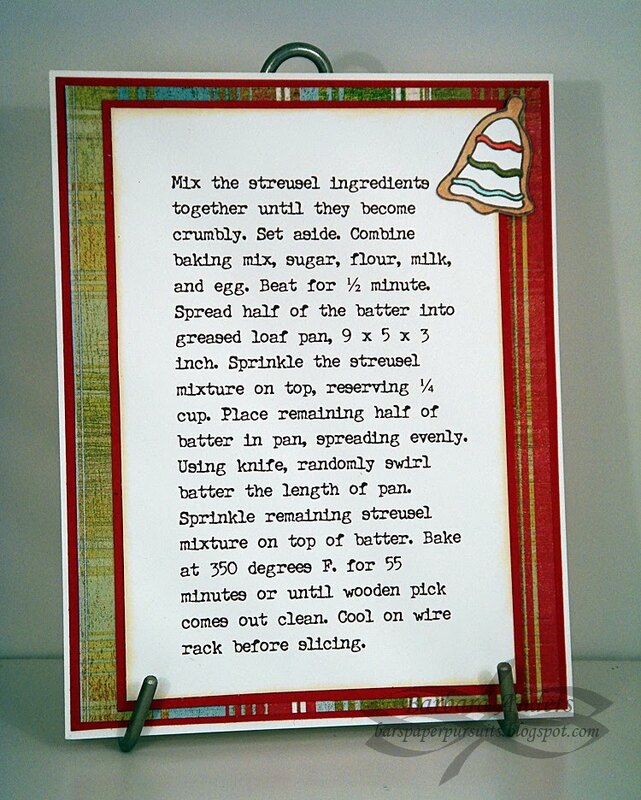 Now, my inspiration for the recipe card was the very talented Denise. She's been making some gorgeous recipe cards and I'd been threatening to CASE them and finally did! 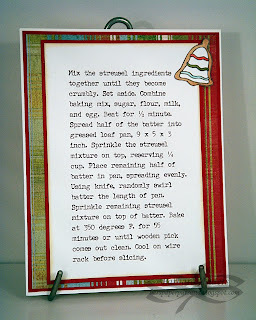 I printed the recipe on my printer with the Typewriter font--LOVE that font for anything remotely casually vintage. So, now it's your turn. Come along and play and take us up on the challenge--we'd love to see what you come up with. If you do, be sure to leave a comment on Sharon's blog telling her where you uploaded. Please use the keyword ssnotime114 if you upload to a public forum. Check out Sharon's fabulous sample and also the great designs from the Stamp Simply team! Thanks for stopping by today! You know I love it when you do! Tomorrow's a new Crazy 4 Challenges challenge--you don't want to miss it! 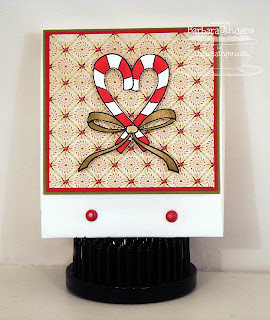 I stamped the ornament from Delightful Decorations on Whisper White with Rich Razzleberry ink. I didn't get as good coverage as I wanted, so I went back over it with a marker--SO happy SU! decided to do markers in the In Colors!!! Then I punched it out and traced around it and cut out a Bordering Blue mat. I think the rest is pretty simple. Some paper piercing using an Ornare template, some satin ribbon, and a few flat back pearls did the embellishment trick! Thanks for stopping by! 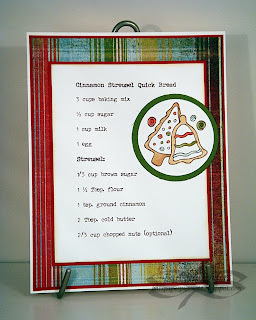 Be sure to check out my nifty gifty promect tomorrow for the Stamp Simply challenge--it's a fun one! Mornin', peeps! It's hump day so that means it's Color Throwdown day!! Today's colors were chosen by our sweet and talented Cathy: chocolate brown, dark red, cream, and optional olive. Today we're happy to have Flourishes Stamps as our sponsor. 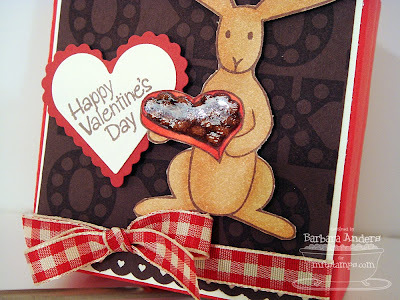 See more about this wonderful stamp company on the Color Throwdown blog. 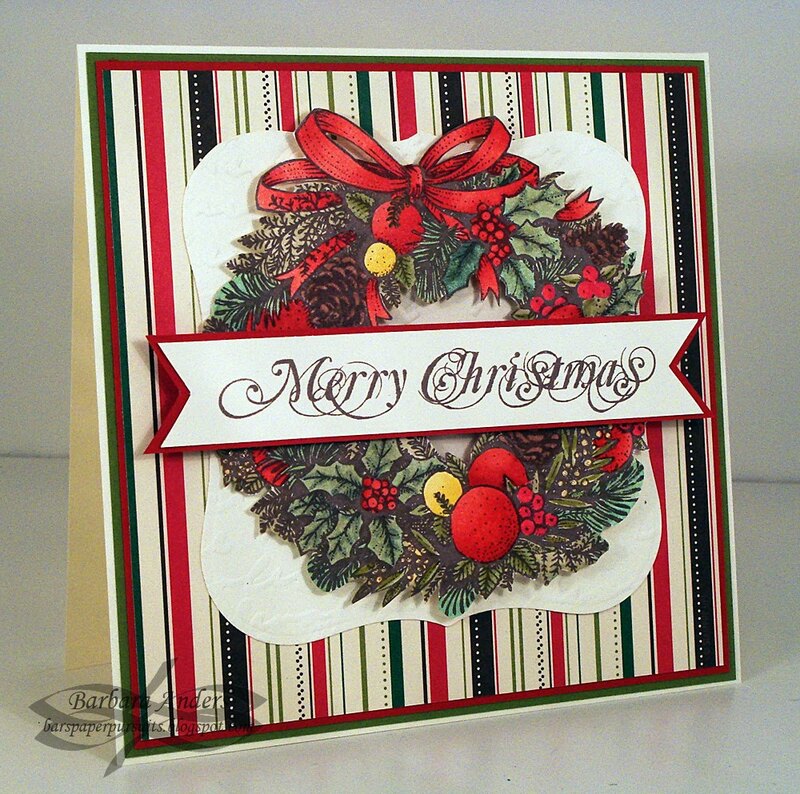 I'm using one of Flourishes' newer sets today, called Christmas Wreath. The main image is quite large so I started with a 5.25" square card base, added Old Olive, Real Red, and Merry Moments DSP, all from SU! Then I added the Labels Four layer, after dry embossing it with the French Script folder. I know you can't see it, but I promise it's there. I thought that layer needed just a little something and that worked out perfectly--or it would have if *you* could see it, LOL! I stamped the image on Pure Luxury 80 lb paper by Gina K with Memento Rich Cocoa and colored it with Copic markers. Then I cut it out and popped it up on 3M foam squares. I liked it but what about a sentiment? I really wanted a sentiment on this card. I tried putting that thing all over that card, LOL, but finally settled on right across the center. I'm thinking it works there, how about you? 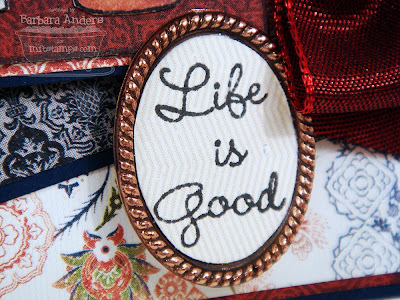 The plain cream sentiment banner was just a little too plain, so I added a Real Red mat and I like it a lot better. Remember, you do not have to have the exact colors to play. If you don't, just use the closest you have. 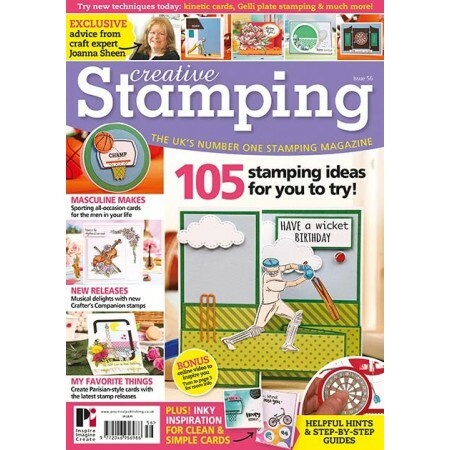 And don't forget--there's also a chance to be chosen as Featured Stamper. So, c'mon over to the Color Throwdown blog and play along with us this week. 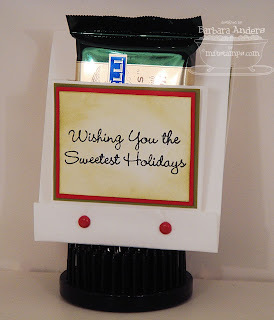 Please use Mr. Linky to post your card and please link directly to your card so we can find it easily and so you'll be eligible to win (only directly linked entries will be considered for Featured Stamper--see the sidebar on the blog for all the details). And please include a link in your post to the Color Throwdown--failure to do this will also disqualify you from winning. If you upload your card to a public forum, please use the keyword CTD69 so we can see your beauty all in one place. Hope to see you there! 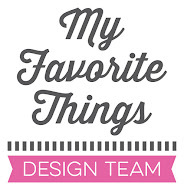 My Favorite Things VIP Mini Blog Hop! Did you miss My Favorite Things' VIP kit last month? Well, it's b-a-a-a-a-ck! And earlier than ever! You get to SEE it two weeks before it's released, AND if you're one of the first 45 lucky shoppers, you get to HAVE it in your hot little hands way before anyone else! So, you ask what it looks like? Well, we're going to show you--all you have to do is HOP! If you didn't get here from the FABULOUS Amy's blog, you really NEED to get on over to Kim's blog 'cause that's where it all begins. Enough gabbing, here's my card using Maid For WTG. I thought it was appropriate to use Basic Grey's Boxer 6 x 6 pad for my patterned paper ;-) The fact that there are lots of small prints made for easier paper piecing, too. The entire image is paper pieced, with the exception of a few small areas that are colored with Copic markers, on a Perfect Paper Panel. Here's a shot to hopefully show you the dimension of the layers I used to avoid cutting around all those little legs, etc. I put some Clear Star Sakura glitter pen on the laptop, the wine glass, and the vacuum handle to add some sparkle to those surfaces. Then I put the sentiment in this cute little copper frame. It originally had a loop at the top but I snipped that off and just popped it up on 3M foam squares. VIP Perk: When you purchase this month’s VIP, you’ll get a coupon good for 5% off your December release purchase. Coupon will be valid for 5% off your purchase between 12/2 and 12/4 only. 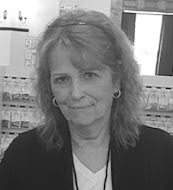 So, hop on over to the uber-talented Joanne's blog and see what she's got for you--I know you won't be disappointed! I've got a little project to share with you today that I made for a co-worker. 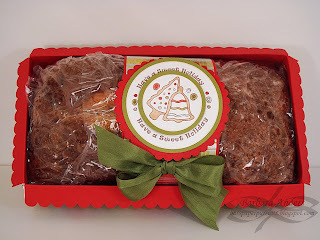 She needed some simple little treats for her kids' teachers for Thanksgiving, so I whipped several of these up for her. 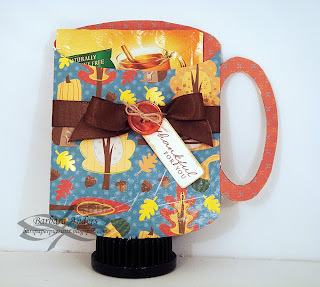 I used a mug template and added some ribbon, a button, and a sentiment from PTI's 2009 Autumn Tags set. Then I slipped a packet of spiced cider mix inside and that was that! Quick and easy and she loved how they turned out, so it's all good :) I wish I could tell you where I got the mug template but I can't. There are plenty out there, though, so just do a search for one. And if anyone knows where I got it, let me know and I'll add a link to give credit. Today My Favorite Things is sponsoring Card Positioning Systems. Since I hadn't had time to play with this month's Flopsey (and you *know* how much I love me some Flopsey!) I decided to try him with the sketch. I stamped Tree Trimming Flopsey, the star, and the tree on a Perfect Paper Panel with Memento Rich Cocoa ink, colored with Copic markers and paper pieced and cut them out. 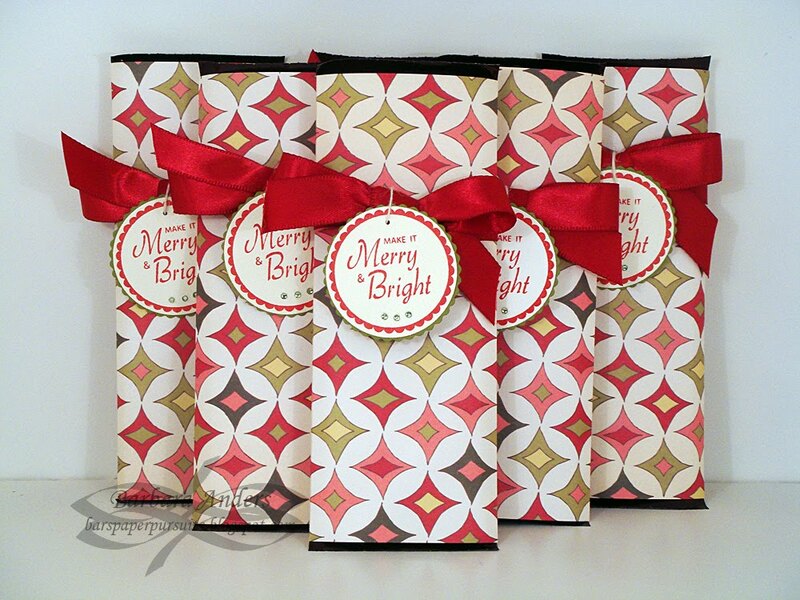 Patterned paper is from the Holiday Collection 8 x 8 pad by DCWV, card stock is gold metallic and Handsome Hunter. 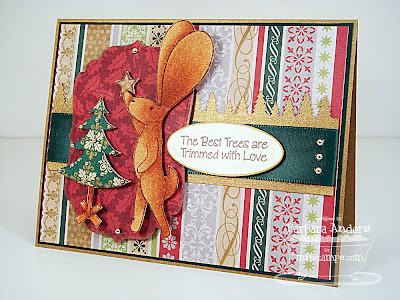 I used gold metallic card stock and punched out a border, then laid a piece of ribbon on it. Flopsey's background is more patterned paper, cut/embossed with a Nestabilities Label Four die and edged with a gold paint pen. Flopsey and the tree and star are popped up on 3M foam squares and Pop Dots. The sentiment was stamped, cut/embossed with a Petite Oval Nestabilities die, sponged with River Rock ink to tone down the stark white, then edged with the gold paint pen. I added some gold flat-backed pearls to the tree, the background, and to the ribbon for balance. Thanks for dropping by--you know I love it when you do! Be sure to check out the CPS sketch and give it a whirl! Frances is really challenging us today with this week's Crazy 4 Challenges! She's challenging us to use acetate on our projects. You may not be able to see the acetate on my card, LOL, but it's there! 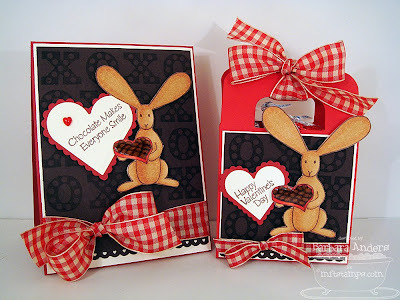 And, since this month is being sponsored by Kraftin' Kimmie's Stamps, I'm using this cute little bunny named Bernadette. I printed Bernadette on Gina K. Pure Luxury 80lb paper and colored her with Copic markers. I'm using patterned paper from a new Winter mat stack by DCWV. Card stock is Pacific Point and Kraft. I punched a little snowflake out of acetate and decorated it up with some bling, which I again colored with my Copic airbrush system. My layout is sCS Sketch #254. Ribbon is from My Favorite Things. THEN, you know what to do--we'd love to have you come along and play with us. Just do your thing with the sketch and link it to Mr. Linky on the Crazy 4 Challenges blog. Please link directly to your project, and not your blog. And, if you upload to a public gallery, please use the key word C4C11. Friday, Nov. 13 - ssnotime113 - Matchbook Fold -- I'm on a fold kick lately, and today it is a matchbook fold. With this fold you have one small fold and one large fold so it kind of looks like and opens like a matchbook. 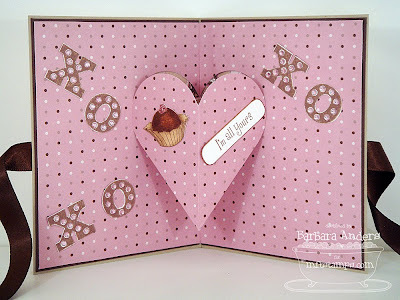 Check out all the DT samples today for some fun ideas and great inspiration with this fun fold! So, now it's your turn. Come along and play and take us up on the challenge--we'd love to see what you come up with. If you do, be sure to leave a comment on Sharon's blog telling her where you uploaded. Please use the keyword ssnotime113 if you upload to a public forum. 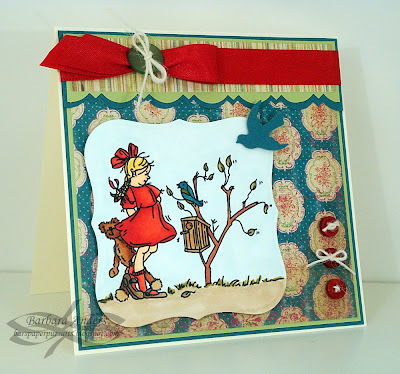 Check out Sharon's fabulous sample and also the great designs from the Stamp Simply team! Ready for some more Pure Innocence?